December 18, 2017 - Like us now! 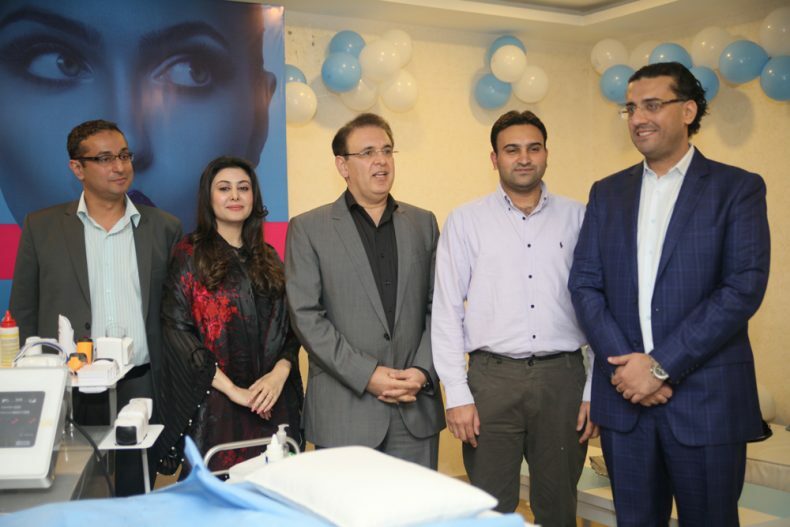 3D lifestyle – the licensee of the original Non-Surgical 3D Lipo technology has finally launched in Pakistan with 10 clinics in Karachi, Lahore, and Islamabad. Unlike any other treatment in the Medical Aesthetics landscape; 3D lifestyle, with their revolutionary-technology, performed a Non-Surgical fat loss treatment in front of a live audience. The patient lost 3 inches in a mere 45 minutes time. Dr. Humayun illustrated that 3D lipo’s ULTIMATE device comes handy for fat loss- skin tightening- facial lift and rejuvenation, all with no surgery or injectable. He further went deep into the science of Non-Surgically breaking up of fat cells through the most advanced Cavitation process. The Cavitation process is where quad transducers ensure ultrasound waves cause severe disruption of the adipose cells, thus breaking down the fat cell membrane where this content is then disposed of the lymphatic system and the liver. The uniqueness of Cavitation is that you can see results from the 1st treatment! Crylolipolysis also specifically targets fat cells Non-Surgically, by lowering the temperature to – 60; it pinpoints the content of the fat cells and causes a crystallization: no other structure is affected by this process like cavitation the remaining content disposed of naturally. Crylolipolysis delivered results in 4-6 weeks and works excellent on all stubborn fat! Radio frequency is another important function of 3D Lipo using advanced quad polar technology; radio frequency enables not only skin tightening for the face but also for the body! The concentration of collagen fibers and the regeneration of the collagen and elastin deposits tighten the skin layers creating a smoother, healthier and younger-looking skin.